Katie Corker is a research psychologist and professor at Grand Valley State University. Her personality and social psychology research seeks to understand motivational differences between individuals. Katie also has active research interests that intersect with the open science and reproducibility in science movements. 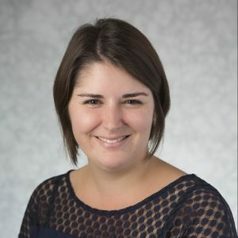 Together with others in the community (see improvingpsych.org), she is working to build and support structures that improve methods and practices in the field of psychology. With Bobbie Spellman and Elizabeth Gilbert, she currently has a chapter in press titled "Open science: What, why, and how." The preprint is available at https://osf.io/preprints/psyarxiv/ak6jr.